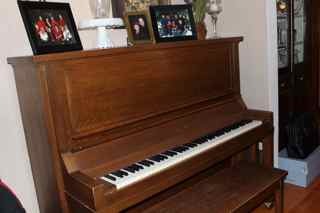 Women on a Mission: Mom Edition: $50.00 PIANO! Parents raise their children with different goals, values, rules, dreams, and so much more. My parents had lots of goals for me and my siblings, but one of their core rules in our house that they enforced was unique. We had a piano and we all had to take (we were required to take) six years of piano lessons. My brother Lyle was first. And let’s just say….he stands out as the BEST piano player in our family. He is amazing and can play with music and without (by ear). Actually at my wedding…we gave him two songs to play and he did it without music (and coincidently played guitar)…he can play EVERYTHING. Music is in his blood. Next up my sister took lessons…she was good, I would say equally talented to me. However, neither of us is a Lyle piano player. And then I took lessons. 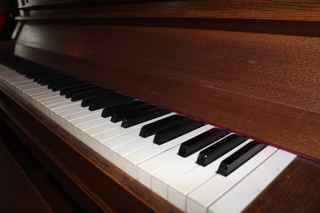 I liked piano…I even played every Sunday during church and went past the six years lesson requirement. The only thing I didn’t like about piano was practicing. Yes, we had to take six years of lessons, but we also had to practice for 30 minutes/day. And I hated that. 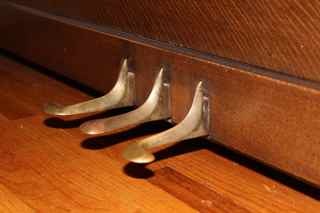 Mom, please don’t read this: but there were times when I would hop on the piano as our garage door was opening and mom was home. I would play frantically and joyfully announce that my 30 minutes were up! HORRIBLE TEEN-AGE BEHAVIOR! (Mur-Man don’t get any ideas!). Steve unfortunately didn’t take lessons as a child and he regrets this a lot. And so, we had Mur-Man and we knew we were going to create the six year piano lesson rule in our house. Mur-Man is 18 months old and so this won’t be happening anytime soon. 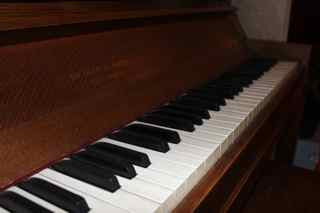 But my thriftiness kicked in, and my co-worker offered to sell me her beautiful early 1900’s piano for $50.00! THAT’S RIGHT—50 BUCKS! I couldn’t believe it. There it sits in my living room ready for lessons to begin. The biggest challenge was moving the piano into my house…it barely made it through the front door, but it made it. So—Mur-Man get ready! Your six years will be coming before you know it!